Associate Professor Michael Lemke and Professor Keith Miller will discuss the University of Illinois Springfield’s Alfred O. and Barbara Cordwell Therkildsen Field Station at Emiquon during a Pecha Kucha Night event on Thursday, February 3, 2011. The discussion will take place at the Capital City Bar and Grill - Theatre in Springfield located at 3149 S. Dirksen Parkway. Doors open at 6:20 p.m. with presentations beginning at 7:20 p.m. The cost to attend is $5. The event will feature several other presentations in addition to Emiquon. Pecha Kucha literally means “chit chat” in Japanese. The presentation style was developed in Toyko in 2003. Each presenter shows and discusses 20 slides for 20 seconds each on a given topic. The Therkildsen Field Station was dedicated on April 25, 2008 in order to study, research, and document the Emiquon Preserve located near Havana, Illinois, along the Illinois River. The Nature Conservancy and UIS teamed up to transform 7,425 acres of land immediately adjacent to the Illinois River and owned by The Nature Conservancy back to its original state of a floodplain, which is one of the biggest transformations of its kind in the world. 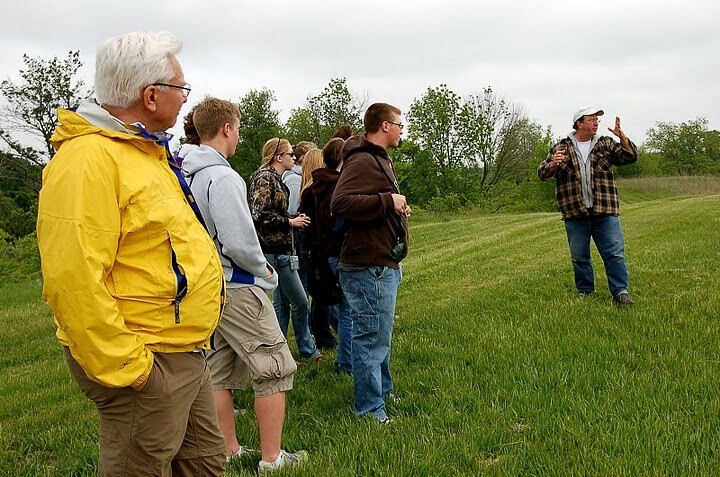 The field station serves as a premier scientific facility, which offers both on-site and online learning for UIS students. Therkildsen supports student and faculty research in conjunction with the Conservancy’s staff and other collaborating scientists.